WEBINAR Cancelled/Postponed due to unforeseen personal circumstances. Join us on Monday, 25th March 2019 at 14:30 GMT / 15:30 CET for another Europlanet Webinar which is sure to be fascinating. This month we talk to Dr Ashley Davies about his work studying Volcanism on Io and what secrets it might reveal. Full details below. 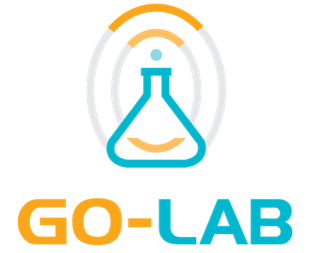 full access using Zoom app (desktop or mobile) – this gives the best quality, allows you to ask questions to the speaker and fully participate in the webinar. You have to register to access the webinar and have the Zoom app installed. We won’t share your data with anyone and will only use it in regards to this webinar. live streaming – you can watch the live stream of the webinar through Europlanet’s YouTube channel without registering. This is a straight feed and you aren’t able to communicate with the speaker or participate further in the webinar in any way. It will appear at the top of the Europlanet YouTube Channel page when the stream is live. We highly recommend registering and using the Zoom app – especially if you are in an environment with multiple viewers (e.g. classroom). Volcanoes helped transform the surfaces of the Earth, the other terrestrial planets, and the Moon. However, the biggest volcanic eruptions in the Solar System are taking place not on Earth, but on Io, a moon of Jupiter. This wonder of the Solar System is a fascinating volcanic laboratory where powerful volcanic eruptions result from tidal heating, a process that also affects the ice-covered moon Europa. Despite multiple spacecraft visits and spectacular new observations of Io with large Earth-based telescopes, some of the biggest questions about Io’s extraordinary volcanoes remain unanswered. Getting the answers requires an understanding of the difficulties of remote sensing of volcanic activity; a new, innovative approach to instrument design; and ultimately a return to Io. 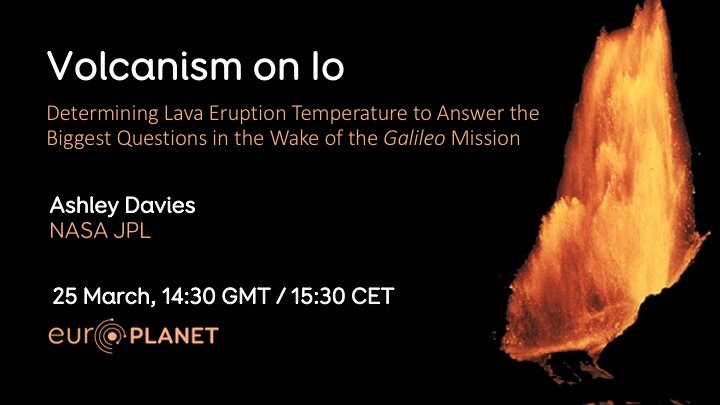 Ashley Davies, a volcanologist at NASA’s Jet Propulsion Laboratory, in Pasadena, CA, will describe how studying volcanoes on Earth leads to a clearer understanding of how Io’s volcanoes work and how best to study them from spacecraft. Speaker: Dr. Ashley Davies is a Research Scientist at the Jet Propulsion Laboratory – California Institute of Technology. He received a Doctorate in volcanology from Lancaster University, in the United Kingdom, in 1988 and has been at JPL for over 25 years. He was a member of the Galileo NIMS Team; is a Co-Investigator on the Europa Clipper Mapping Imaging Spectrometer for Europa (MISE); has written over 100 papers on observing and understanding volcanic processes; and is the author of “Volcanism on Io – A comparison with Earth”, published by Cambridge University Press. He continues to be engaged in research into volcanic eruption processes, spacecraft mission and instrumentation development, and field work on volcanoes around the world. He was a co-recipient of the NASA Software of the Year Award for the successful Autonomous Sciencecraft (demonstrating science-driven full spacecraft autonomy).